Many travelers have decided that depending on car rental agencies to provide them with a quality car seat for their child is often not the best idea. Once you find the perfect car seat that installs easily and fits your child well, traveling with your own car seat won't be difficult. You can gate check it for free and have it waiting for you as you get off the plane. Remember to allow a bit more time for TSA screening and gate checking the cat seat before your board the airplane. The Britax Frontier ClickTight is an excellent choice for a trip that involves both flying and driving. 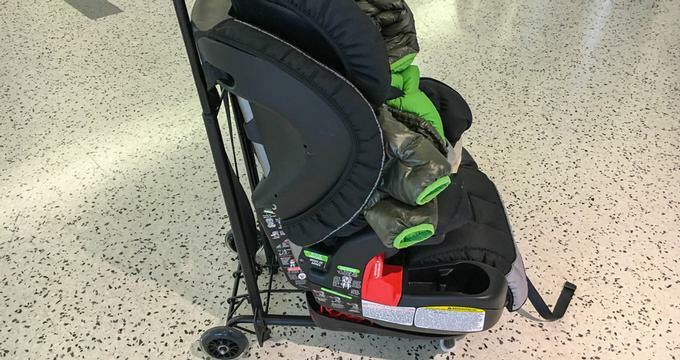 Clip it onto the Britax Car Seat Travel Cart to take it through the airport and check it at the gate. 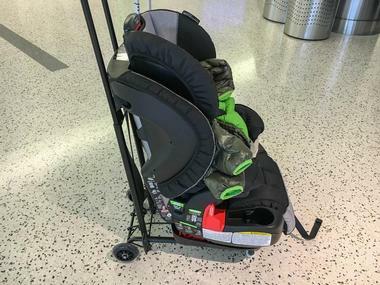 You will minimize the risk of the car seat getting damaged during the flight because it will be waiting for you as you get off the plane. The seat is perfect for both little and bigger kids - its 9-position harness and 2-position buckle lets you adjust it easily as the child grows. This car seat incorporates the use of a powerful installation system, making it easy to install, even for those who are not so technically minded. Once you read the instructions and install it the first time, getting the seat in and out of a rental car won't be difficult. 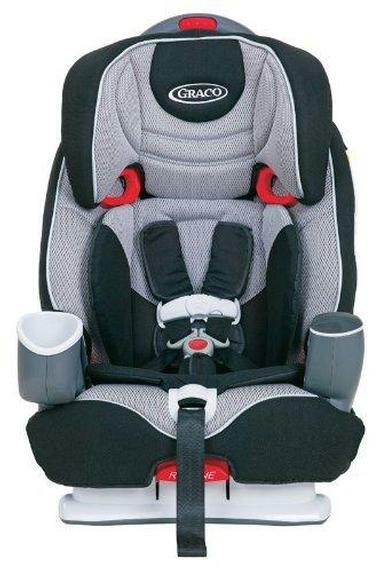 This seat has a safety integration system that includes the entire harness and which, together with a stabilizing frame, increases compactness on both ends to secure your child. The safe cell increases protection for your child on both ends and has a very comfortable headrest. The The Britax Frontier ClickTight works as a harness car seat for children that weigh 25-90 pounds. It converts into a belt-positioning booster from 40-120 pounds. 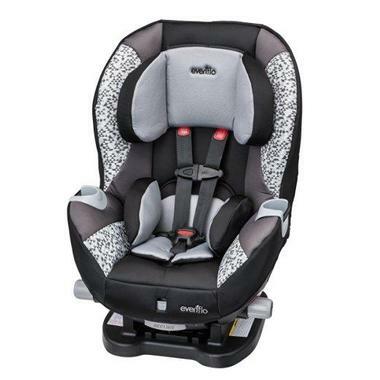 The Graco Nautilus car seat is a three-in-one car seat, which explains its popularity. The Graco Nautilus can be used by your child up until they are 10 years old. The car seat itself is quite spongy, making it safe and comfortable for your child. This car seat's three-in-one mechanism has been tested and proven to keep your child secure, even during a serious crash. This is because this car seat has a reinforced steel frame that increases its durability and strength. The seat can hold a child between 20 and 100 pounds, meaning a child can use it for up to 10 years. This car seat has also been certified as having met US safety standards and has also had a number of enthusiastic reviews online. This seat is a great choice for convertible cars and is made by Evenflo, known for making very durable car seats. This car seat has multiple shoulder harnesses that allow your child to sit comfortably while vertically facing forward. It also helps maintain your child's bone structure; it should be pointed out that you should avoid any car seat that strains your child's back. This seat also incorporates the use of a buckle release, allowing you to change its position. For instance, if your child wishes to sleep facing upwards, then all you need to do is adjust the car seat, allowing them to rest in a very comfortable position. The seat also has a comfortable cushion, which makes it safe and comfortable for sleeping and which comes with a removable pillow for older children to use. This car seat is comfortable for any child between 3 and 7 years old. The cushion allows the child to sleep on the car seat without discomfort, as can be the case with some car seats for kids. This car seat is suitable for toddlers and has been recognized a number of times one of the best car seats for that age group. 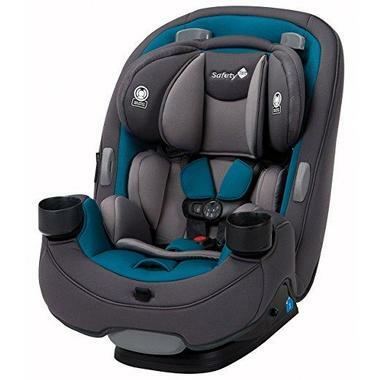 The Safety 1st car seat is much cheaper than most of the other seats on our list. However, although it is fairly durable, it is not the sturdiest when compared to others in our list. This is a forward-facing car seat that can be turned into a rear-facing seat. This makes it easier to place toddlers on the seat, depending on their weight. It also has a booster that helps hold toddlers who weigh more than 40 pounds. The car seat has three positions, including the recline system mentioned above, which can be switched by pressing a simple buckle button. It is easy to change and does not require any technical knowledge. This car seat also comes with rotating arms to protect your toddler from any side movements. This seat is convenient for any toddler, regardless of their weight. Once they have grown a bit you can simply adjust the seat using an easy-to-use buckle button. This seat is comfortable for toddlers regardless of their position. 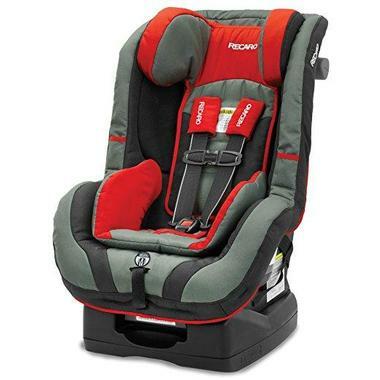 Recaro Seat is a luxurious seat providing the ultimate comfort for your kids. It is made of high-quality materials, including cotton with a polyester lining. This car seat comes with two adjustable facing modes, rear-facing and forward-facing. This seat is only for kids weighing less than 40 pounds. The car seat is one of the most durable car seats on the market and has been highly acclaimed for its impact-protection mechanism. In addition, it can be used in convertible cars. This car seat can be adjusted without re-threading, unlike most other car seats for kids, and it also has an innovative ventilation system that works with its PUR foam mechanism. The seat is convenient for convertible cars, and has an easily adjustable buckle system along with a cool ventilation system. Different car seats can hold different weights so knowing your child's weight will help you choose the right seat. However, as the child grows you may need to change the model of car seat to one that can hold more weight. In addition, booster seats should be considered if your child weighs more than 40 pounds. The age of your child also determines the type of seat you should acquire. For example, most infant car seats face upwards, which is the most secure for that age group. However, as they grow to around 2 years of age, you should consider purchasing car seats that face forward. As a parent, you are aware of how messy kids can get, so it is important to consider the material of the car seat. It is advisable to choose materials that are easy to clean, such as cotton or silk, and with very simple lines and creases. Biscuit crumbs and spilt liquids like milk or water are easy to clean from such seats and seats that require low maintenance are always a good choice. Understanding the model of your car helps you determine which seat to buy. Unfortunately, not every type of seat can fit into every car. Going through your car's manual is a great way to find out which types of car seat can be attached inside the car, and most manuals provide a detailed explanation of how car seats need to be installed. Also, you should always purchase a car seat that has the right belts for optimal safety. Lastly, check your back seat, estimate how many car seats can fit on it, and then purchase car seats that fit perfectly. Failing to measure your back seat can lead to the purchase of bulky car seats that may not fit correctly.